Egg Banks come in all shapes and sizes. PVED is here to help you explore options for frozen donor eggs and understand the considerations of using frozen eggs from an egg bank vs. a fresh donor egg cycle. What Is A Frozen Egg Bank? Freezing and storing “banking” of frozen human reproductive cells for later use has been available for many years, initially for sperm and later for embryos. However, egg “oocyte” freezing and storage lagged behind until recently, because eggs are more fragile than sperm and embryos, so successful freezing and thawing of eggs was more challenging. In the last few years, the basic method for freezing of oocytes has involved a newer technique called vitrification, which is essentially freeze drying. This has mostly replaced the “slow freeze” method we used for decades with embryos, and not very successfully with eggs. Fortunately, those technical breakthroughs in the last decade have made freezing of oocytes with vitrification highly successful. While there will undoubtedly be future advances in the vitrification, shipping, thawing, insemination and culture of these oocytes, currently the outcomes from these eggs are very similar to fresh oocytes. However, it wasn’t until October 2012 that the ASRM removed the “experimental” label from the procedure citing that it finally had sufficient evidence to demonstrate acceptable success rates for oocyte cryopreservation. This of course resulted in egg freezing becoming far more widely available. That success has been beneficial for fertility preservation, allowing women preserve their own eggs for later use. 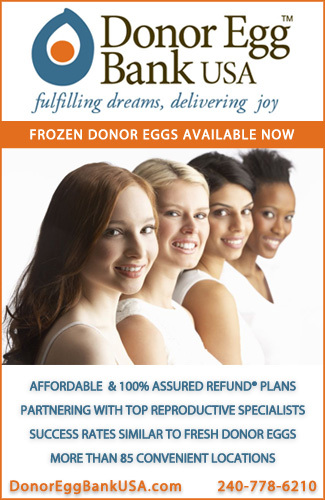 It also has created interest in frozen donor egg banks for intended parents who need egg donation. There are many reasons that frozen egg banks are a welcome development. But perhaps the area of egg banking which has seen the most recent rapid acceptance is oocyte/egg donation. For egg donation, banking has many advantages. First, let’s describe a frequently used technique for egg donation in the United States -- fresh egg donation using a compensated donor who is recruited by a clinic or agency and selected by the intended parents. After passing the appropriate screening, the donor undergoes an ovarian stimulation cycle and egg retrieval. The oocytes are inseminated with partner (or donor) sperm; fertilized eggs are grown in the laboratory with transfer of embryos into the recipient’s uterus after hormonal preparation. The approach for fresh donor egg IVF currently used in most US based ART programs is highly successful – an average of a 57% live birth rate per transfer, although some programs are reporting live birth rates for fresh donor eggs at over 80% per transfer. However, it is very costly, typically $35,000 - $50,000 in the US for an exclusive fresh cycle (where eggs are not shared with other recipients). Shared donor egg cycles typically start around $18,000. It can take a recipient many months to find the right donor; even with the most careful selection, the donor may not be approved for treatment, or may not be able to produce a good number of eggs because of her response pattern and the cycle may be cancelled. Or, something may come up in her life making her unable to donate at the last moment. Unfortunately, the financial risk is typically borne by the intended parents who selected the donor. Paradoxically, a successful donation cycle may yield other unintended consequences. While many families select a fresh donation to increase the odds of having frozen embryos for future full genetic siblings; sometimes a donor will produce so many eggs that, if they are all fertilized, there may be many cryopreserved embryo remaining after the initial transfer. With high pregnancy rates, the intended parents may be faced with the dilemma of having a live birth (perhaps twins?) or even future successful pregnancies and then having to deal emotionally and ethically with many more remaining embryos. For religious or ethical reasons, some intended parents may wish to avoid creation of “extra” embryos, beyond the one or two which are usually transferred in a cycle. They may choose to only inseminate a small number of eggs. Rather than discarding extra eggs, these excess eggs can be frozen for future use, or possibly even donated to another intended parent for them to be fertilized with that partner’s sperm. Extra embryos: Possibly having too many remaining embryos once the intended parents have completed their family building journey. For intended parents who don’t want to deal with the risks and the high costs of a fresh donor egg cycle, they now have options. With a donor egg bank, they can choose from a catalog of egg donors similar to the situation with sperm donation. There are several large and a few smaller donor banks all over the world, most with similar basic approaches, but also some differences. 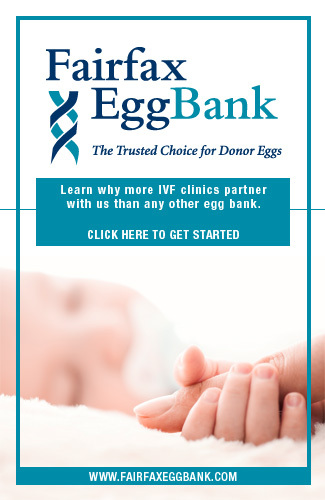 Some egg banks are independent, and others have affiliate networks where eggs may be frozen and shared with other reproductive clinics who are part of the affiliate network. One of the key advantages to donor egg banks is that the frozen egg process happens on the intended parents’ schedule, and this means that there’s no need to synchronize the recipient’s menstrual cycle with your egg donors. They do not have to wait for 3 – 6 months, or longer, for the egg donor to complete screening and egg retrieval, nor accept the risks of dealing with obstacles along the way and unexpected costs. This also eliminates the need for an egg donor to travel, the frozen eggs can be shipped. The banks perform rigorous screening and testing of donors according to local laws, and in some cases with international requirements in mind if they want the embryos to be able to be used at clinics in other countries. They undertake a stimulation and retrieval in one of egg banking centers and the eggs are frozen. If the donor doesn’t respond well with the stimulation/retrieval, the egg bank is taking the financial risk for the donor’s medications, retrieval and donor fee. Conversely, if the donor produces as many eggs as expected, one retrieval might have enough oocytes for 2- 4 batches, thereby spreading around the cost of the screening, medications, retrieval, and making the process affordable for all recipients. Typically 5 – 8 oocytes are offered in a batch to an intended parent for a set fee. Those frozen oocytes are thawed, fertilized and cultivated at the fertility clinic. A batch of 5 – 8 oocytes is typically expected to result in one or two quality embryos for transfer, and possibly a few embryos frozen, although this is often not the case. Another advantage is that egg banks can recruit rare racial/ethnic donors from geographic areas where these donors tend to be located, eliminating the need for a donor to travel and be medically synchronized with the recipient. Those oocytes can then be shipped to a reproductive clinic trained in the thaw/warming techniques so that the recipient can stay in her own practice for treatment. Other clinic based egg banks may only serve their own patients. Clinics outside of the US that are destinations for fertility tourism typically offer lower cost fresh donor egg treatments, so they may not be able to demonstrate the same significant cost savings with frozen donor eggs as US clinics. However, they are still experiencing some demand for egg banks as a way to offer the advantages of a broader range of donor options, more predictability for travel timing, shorter travel times, and a way to minimize or bypass wait lists for fresh donor cycles. As with fresh donor egg cycles, clinics outside of the US typically charge significantly lower costs for a cycle with frozen donor eggs compared to costs for the same treatment in the US, but often in compliance with local laws which may require donor anonymity. Typical costs for a cycle using an egg bank in the US can range from $16,000 - $20,000. Prices for an egg bank cycle in Europe with an anonymous donor can start as low as 4000 Euro (today’s equivalent of $5400 in US dollars). In either case it offers a lower cost alternative to fresh donor egg IVF. While there are many advantages to egg banks, there are a few additional factors that should also be considered. The limited number of eggs per batch lowers the likelihood of remaining frozen embryos after the first transfer; reducing the chances for a full genetic sibling. Some banks may, upon availability, offer intended parents the option to purchase or reserve an additional batch of eggs for potential future use if they were successful on the first cycle and would like to use the same donor for a future sibling. Because one donor’s retrieved eggs are sometimes divided into multiple batches, the chances of more genetic half siblings may be higher than if you received all of the eggs from a donor’s cycle. This is especially true if the donor has cycled several times with the egg bank – for example, 4 donations, each split between 3 recipients would be 12 families receiving eggs from that donor. However, this situation is similar to fresh donor cycles that are split between recipients and/or where the recipients are allowed to re-donate embryos once they have completed their family building. Genetic testing of embryos created from frozen eggs may be discouraged or not allowed by some egg banks mostly due to the small number of eggs in each batch. This may limit intended parents who desire genetic testing of embryos through PGD/PGS; and could also preclude family balancing by knowing the gender of embryos prior to transfer. Severe male factor infertility may also preclude use of frozen eggs at some egg banks or clinics. Less likely to have large numbers of excess embryos remaining after family building is complete. Potentially slightly higher chance of multiple families having children from the same donor (half genetic siblings) since a single cycle is typically split between several recipients; and donors can donate many times (usually up to 6 times, although it may vary by clinic/egg bank). The most obvious difference in egg banks is donor availability. Usually one can register on line and get a clear picture of available options – although some clinics may require you to be pre-screened before viewing the available options. It helps if they offer live support. More experienced banks tend to have more donors and a greater variety. Whether there are pictures (child or adult) of the donor and how much donor information is given to the recipients varies among banks, as it does with fresh oocyte donor agencies. Whether the donor agrees to become known to her genetic offspring at some point in the future is another variable which is important to many and this varies among banks. Screening and testing of egg donors also varies by egg bank, by country, and in some cases by donor. It is for the most part a combination of guidelines recommended by the American Society for Reproductive Medicine and government mandated directives (e.g. by the FDA for egg banks in the US; and other countries typically follow their own tissue directives and STD testing). Although there are some additional tests which may be desirable, they may not be mandated or even offered in all banks. Aside from medical, hormonal and genetic testing, most egg banks do psychological screening via an interview and sometimes standardized test like the MMPII; in other countries they may do equivalent screening along with standard implication counseling so that the donors understand the implications and risks of their donation. It’s important to understand the various financial packages offered, which may not be straightforward since each program offering is different. Guarantees regarding the condition of the warmed oocytes are usual, but not all the same. It is common for an egg bank to guarantee that at least a minimum number of eggs per batch will survive the thaw process. It is expected that not all eggs will fertilize or develop into good embryos, just as with fresh donor egg cycles. If you are guaranteed “a baby or a refund” for either a fresh donor cycle or a from an egg bank, be careful to lay out the full costs if you have to go through multiple cycles to qualify for the refund, and you may find that the refund falls far short of the actual costs. Typical non-refundable fees may include travel, medications, monitoring, frozen embryo transfer fees, legal fees, and for a fresh donor cycle – may also include donor screening (multiple times if you switch donors), agency fees or donor fees. It can be hard to decipher pregnancy and live birth rates among egg banks. Unlike the SART or CDC national reporting databases accessible in the US for IVF, fresh donor egg cycles, or frozen embryo cycles, there is currently no requirement or consistent method for reporting frozen donor egg cycles to those oversight bodies. It is important to compare apples to apples. Some banks report positive pregnancies, others report clinical pregnancies (evidence of a fetal heartbeat). Some banks will lump several cycles together and report cumulative or per batch pregnancy rates – so if it took 2 or 3 transfers from the same batch of eggs and there was a pregnancy reported on the last transfer only the positive pregnancy cycle would count toward the pregnancy rates. You also should compare ‘single embryo transfer’ clinical pregnancy rates. Also, some egg banks report very high pregnancy rates, but those same success rates might not apply at their affiliate clinics. Travelling to the primary program center reporting the high success rates may be okay for some, but certainly adds additional costs and stresses. Many women would prefer to do their cycle in their own city, taking off one or two days of work for an embryo transfer after the eggs are warmed, and the embryos are cultured and having a local doctor monitoring their progress throughout the cycle. So it is important to understand the affiliate clinic’s experience and success rates with frozen eggs. In summary, donor egg banks offer patients an attractive new alternative to fresh donor eggs and it can be more affordable and predictable with less risk while providing similar success rates to fresh donation. But it is important to be educated on the nuances and options available in order for each recipient to be able to make the best choice of clinic or egg bank for their situation and preferences.